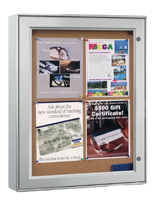 These Cork Sign Supplies With a Metal Frame Are Weather Resistant to Protect Your Messages From the Elements! Order These Sign Supplies Before 1 p.m. EST And They Will Be Shipped Out This Evening! Purchase Sign Supplies With Confidence! 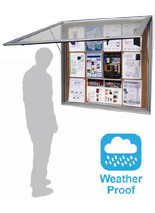 Common Size: 41" x 42"
23" x 30" 24.5" x 18.5" 32" x 32"
Weather-resistant to protect (12) 8-1/2" x 11" pages from moisture. 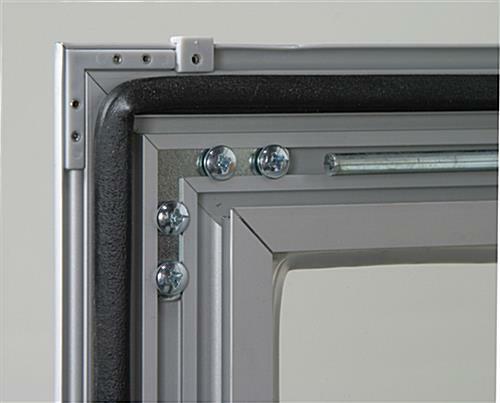 Swinging door locks to keep notices secure. 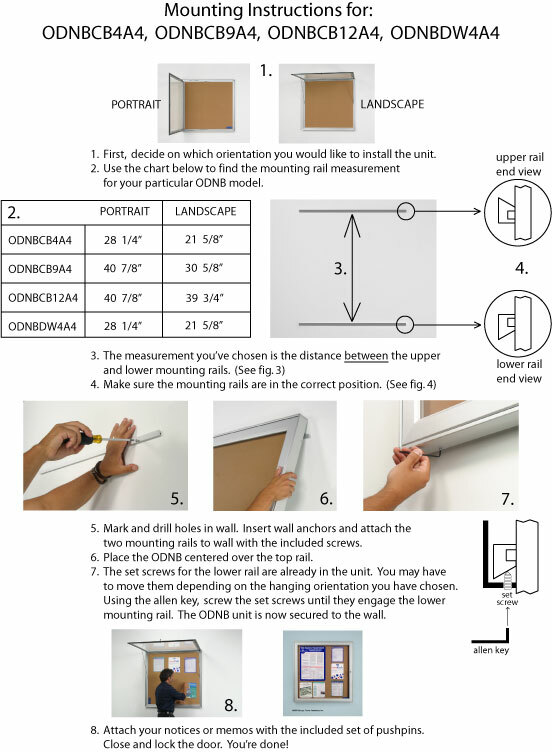 Polycarbonate lens protecting 36"x37" cork surface, will not break or crack. 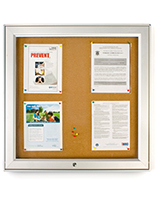 In stock sign supplies for exterior display, like exhibit boards, facts boards, and corkboards are a practical place to attach notices. 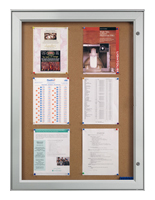 Our notice boards are outside-rated and weather resistant. 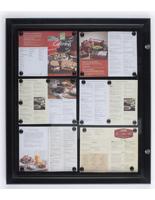 These sign supplies employ a black gasket for a weather restricting barrier. 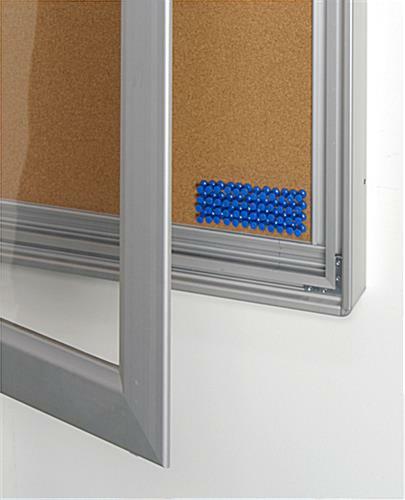 The display board's framing is constructed of metal. 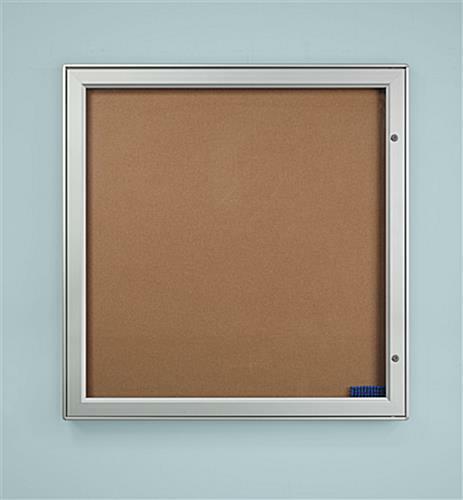 This site offers the sign supplies with a lockable door for security. 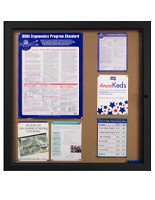 These big-format info boards can support twelve (12) 8 1/2" x 11" pages. 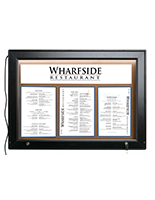 The durable sign supplies with wall mounts can be affixed in three different methods contingent on the owner's needs. 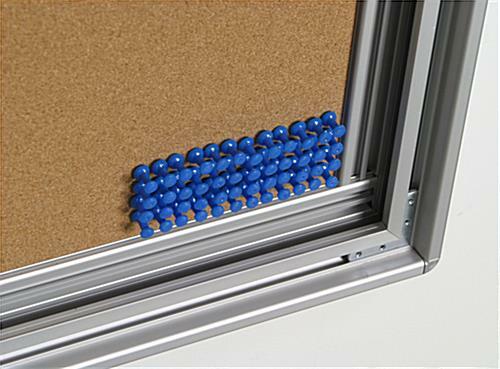 These sign supplies are a reasonably priced choice compared to more highly priced cork boards and even include a set of thumbtacks. 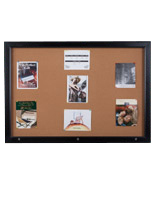 If you are searching for cork boards, tackboards, or pin boards, look no further! 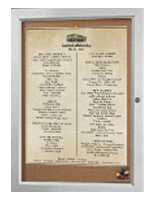 Overall dimensions: 41" x 42 1/4" x 2"
Viewable Area: 36" x 37"
Click here to view features and hanging options. 41.3" x 42.5" x 2.0"